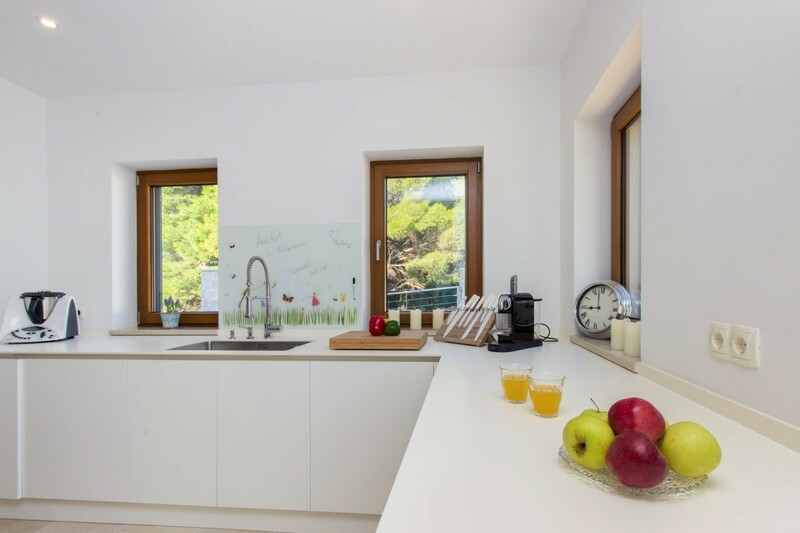 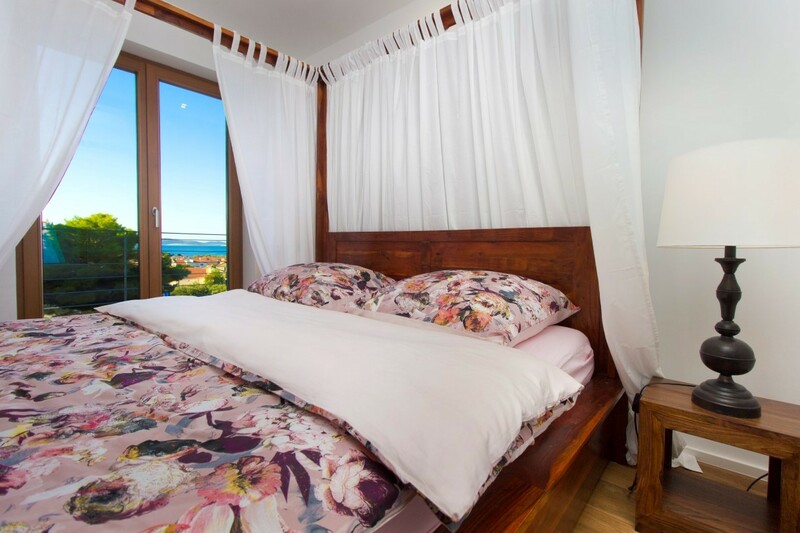 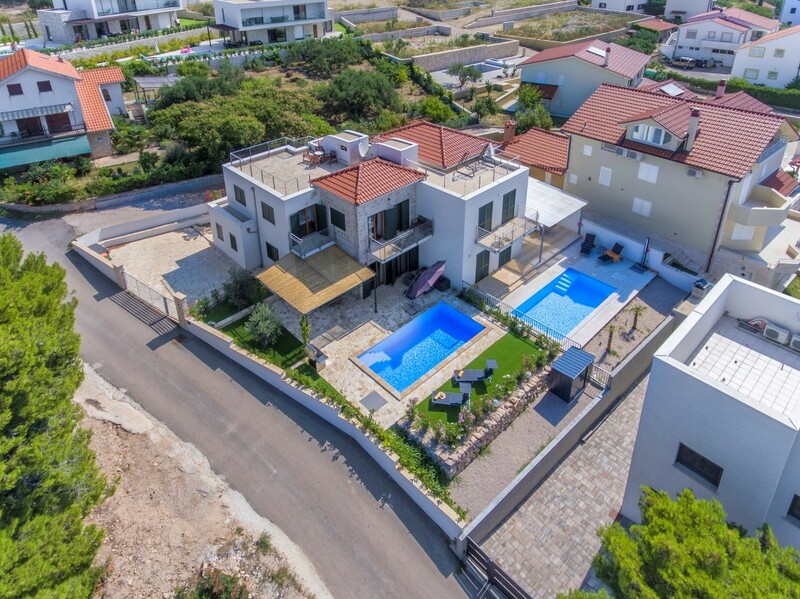 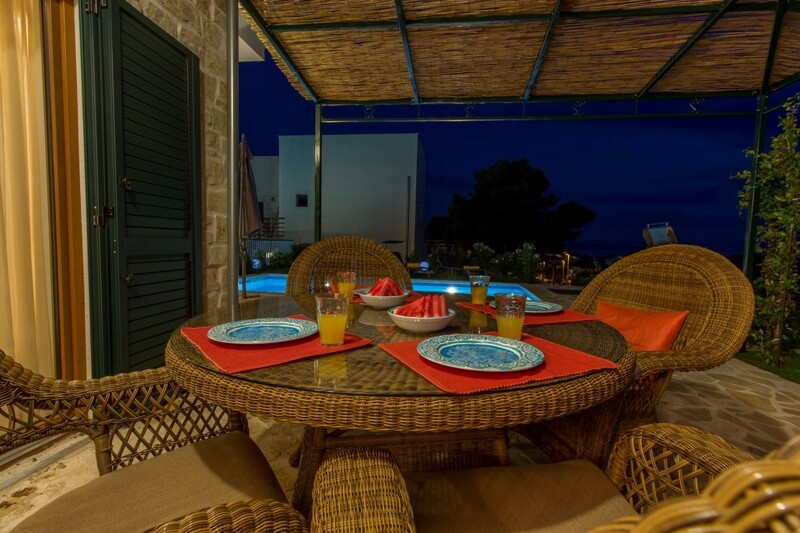 Located in the small and quite fishing village Tribunj, just 500 m from the sea, the delightful villa Kornati is the perfect choice for a fun vacation with family and friends. 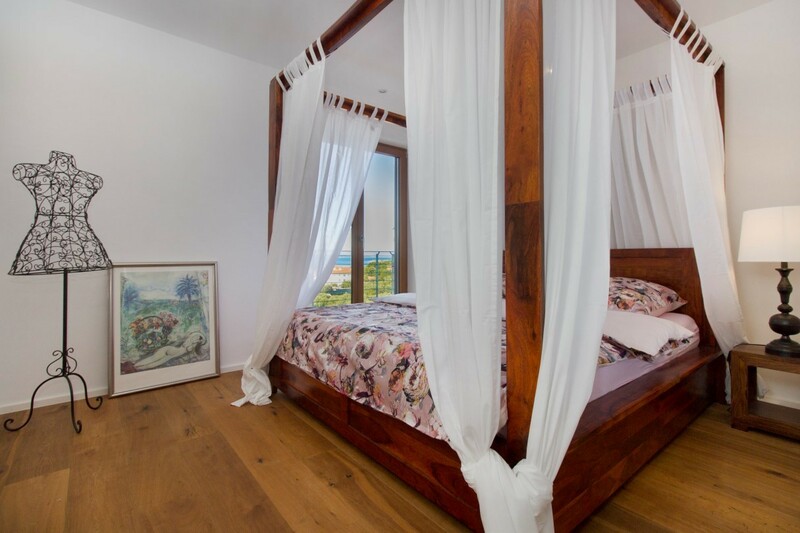 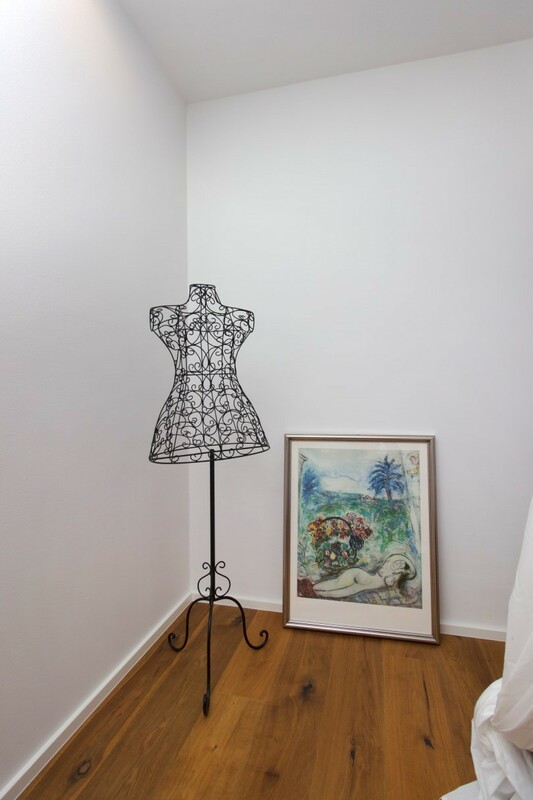 Villa can accommodate up to 6 guests and has been beautifully furnished with attention to details and it is decorated with a lot of style and love to the art. 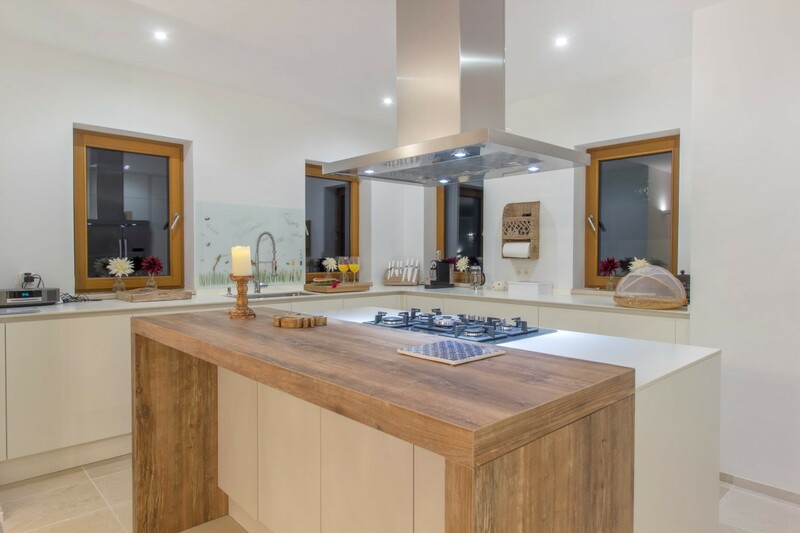 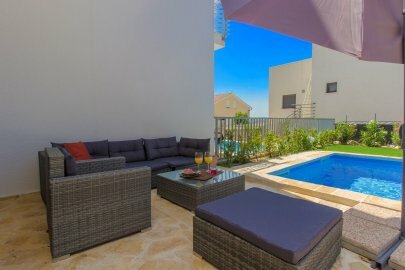 On the ground floor there is a modern, fully equipped kitchen with dining area, spacious living room and one toilet. Each room has direct access to the yard and the private pool. 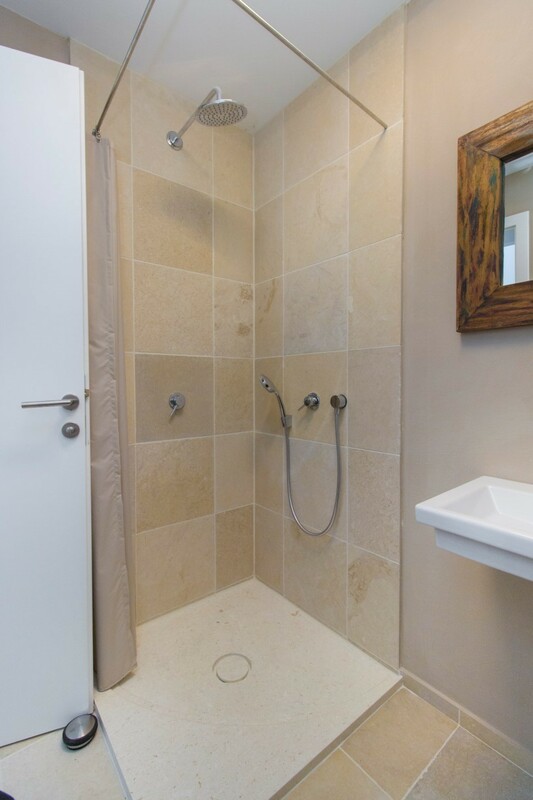 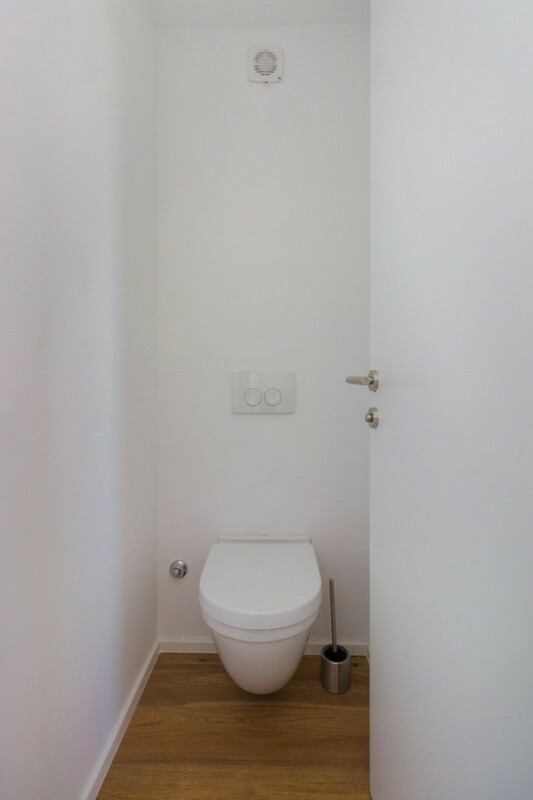 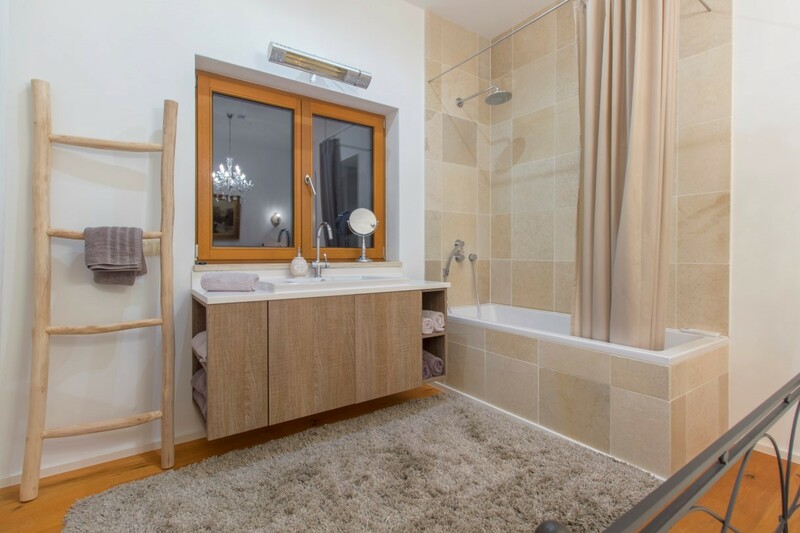 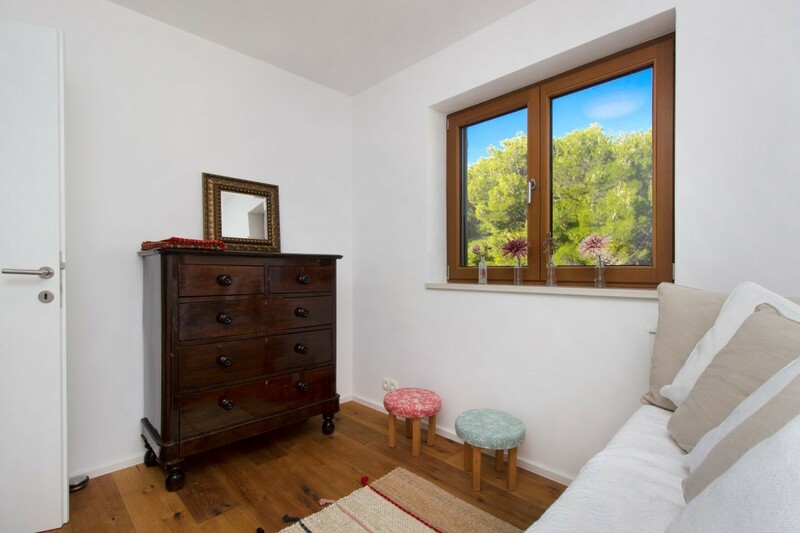 The first floor comprises of 3 bedrooms, one containing an en-suite bathroom. 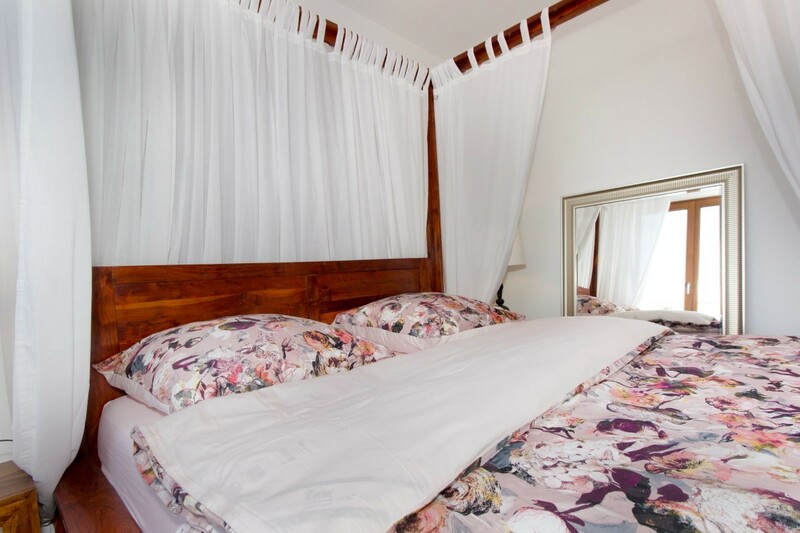 Every room is comfortable and beautifully decorated. 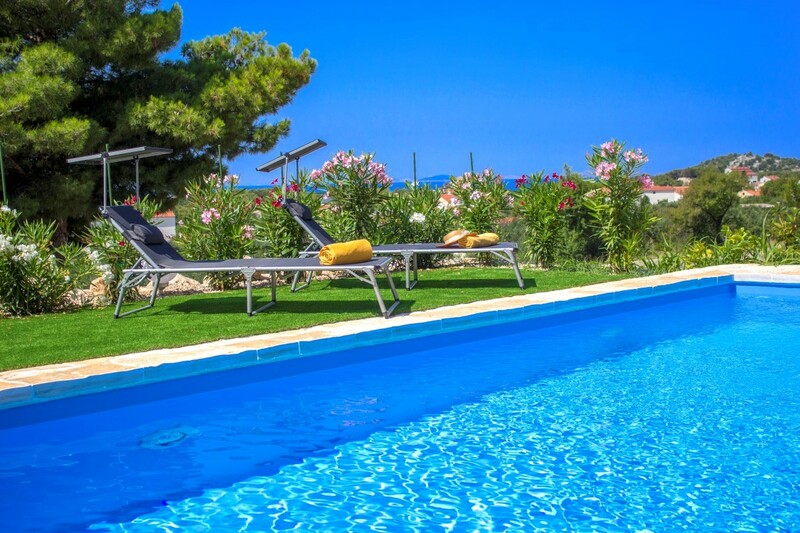 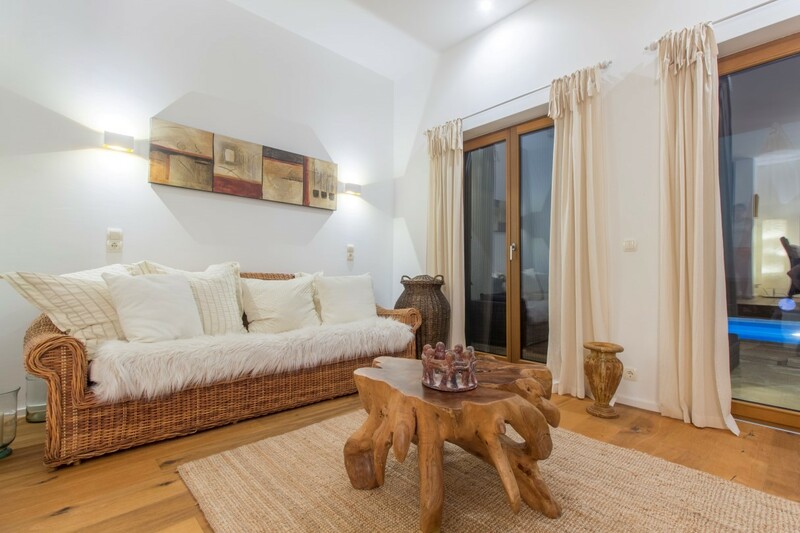 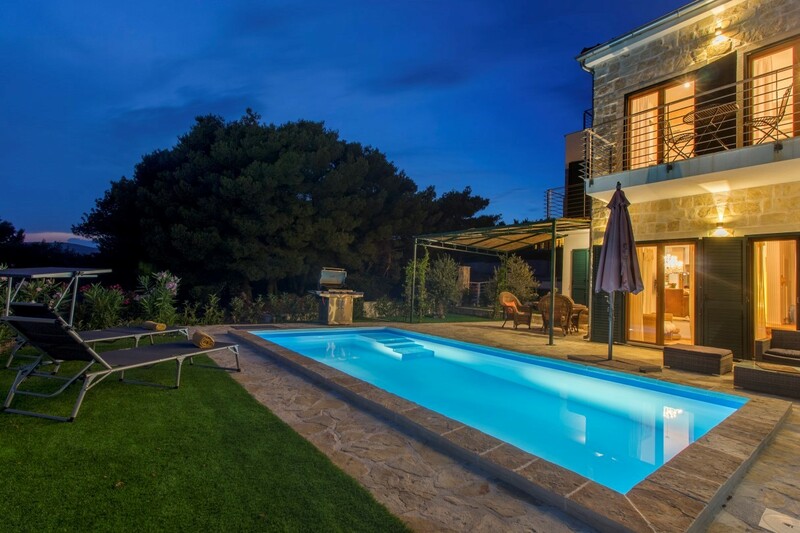 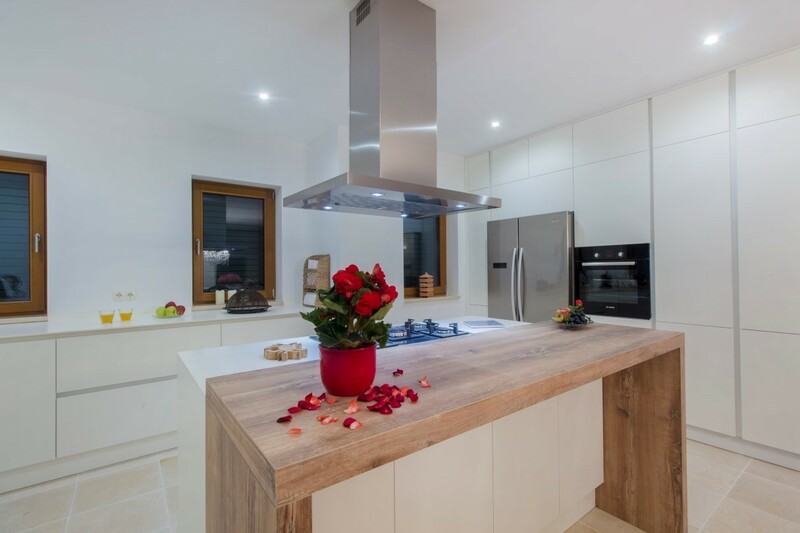 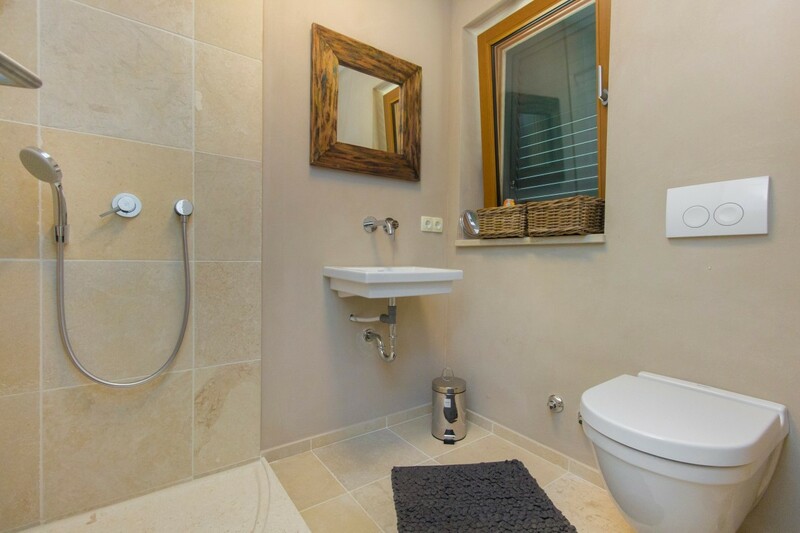 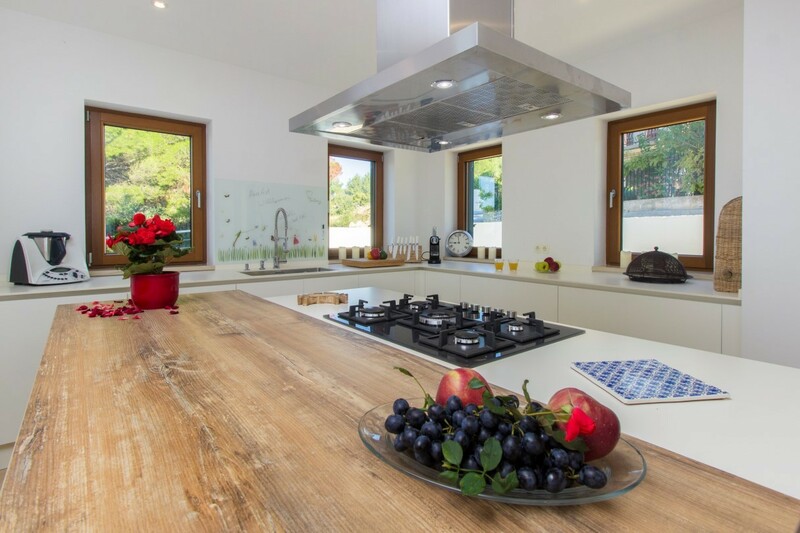 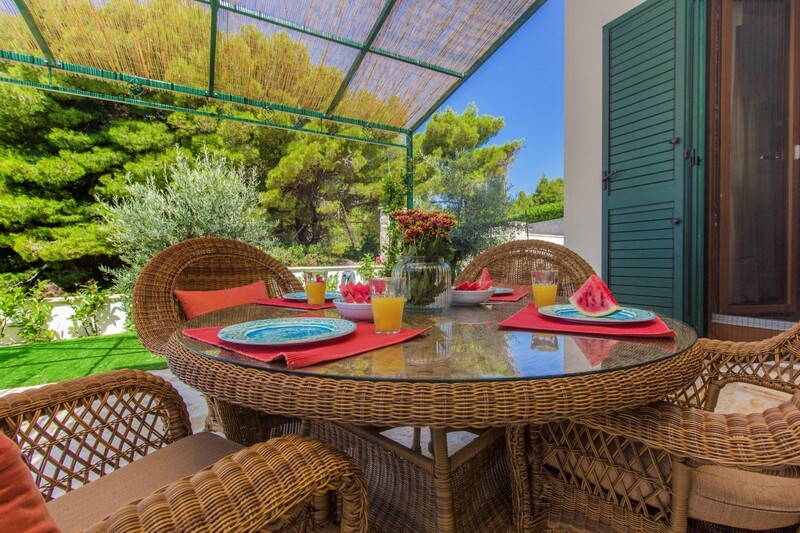 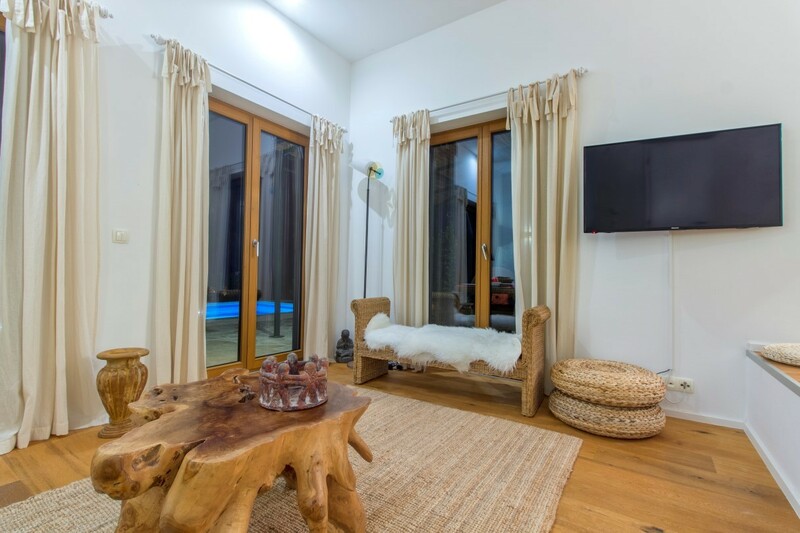 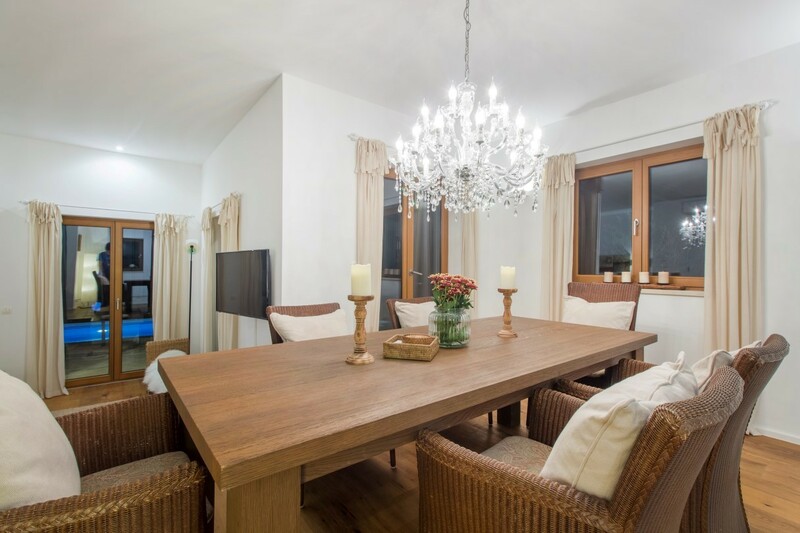 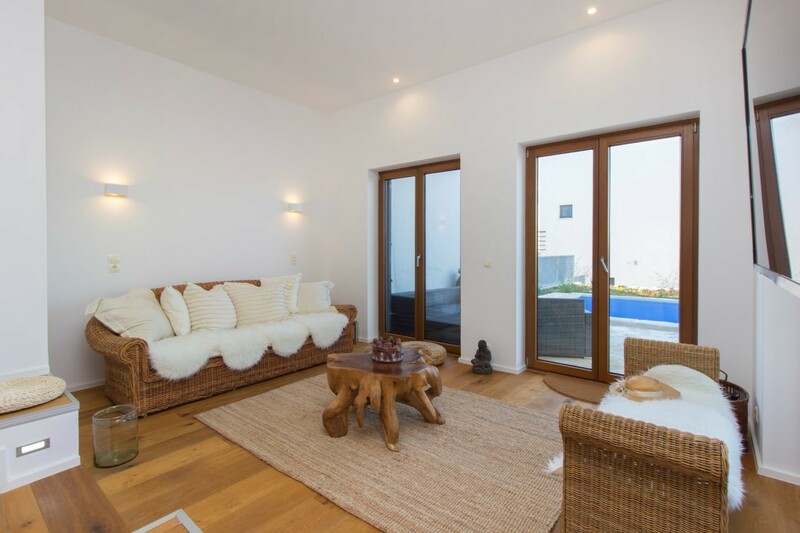 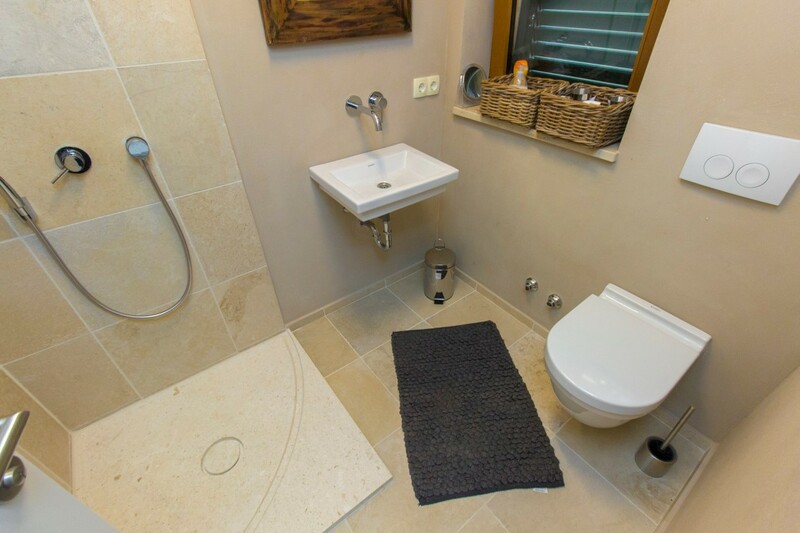 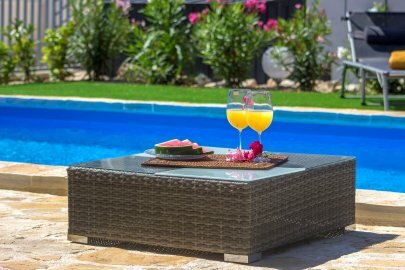 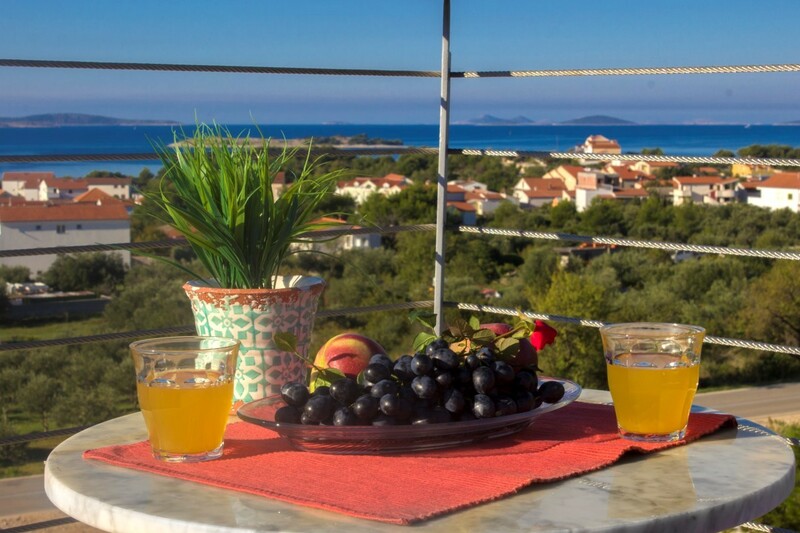 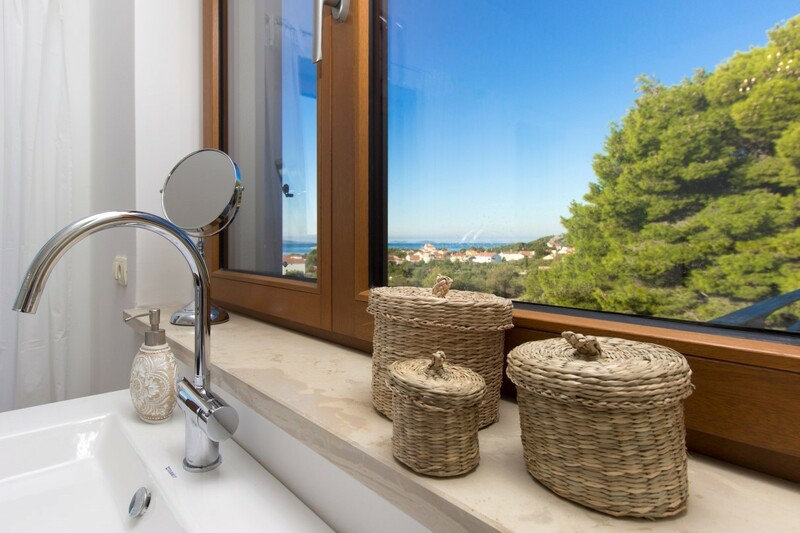 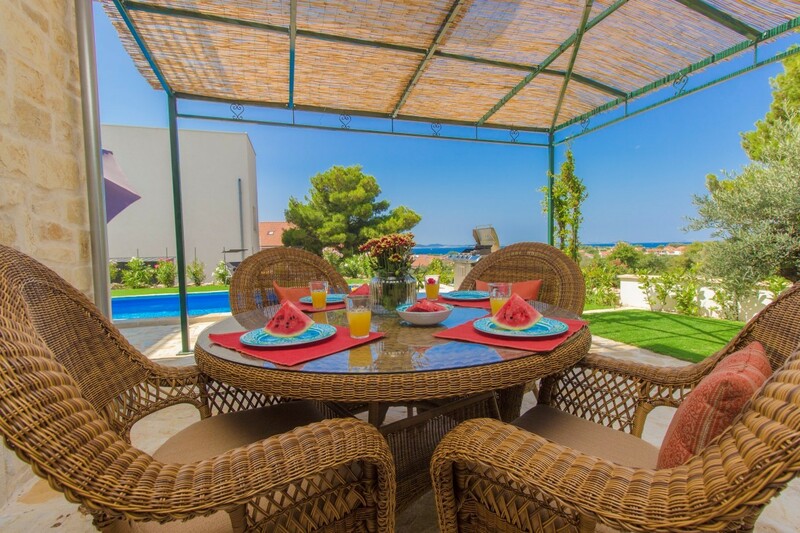 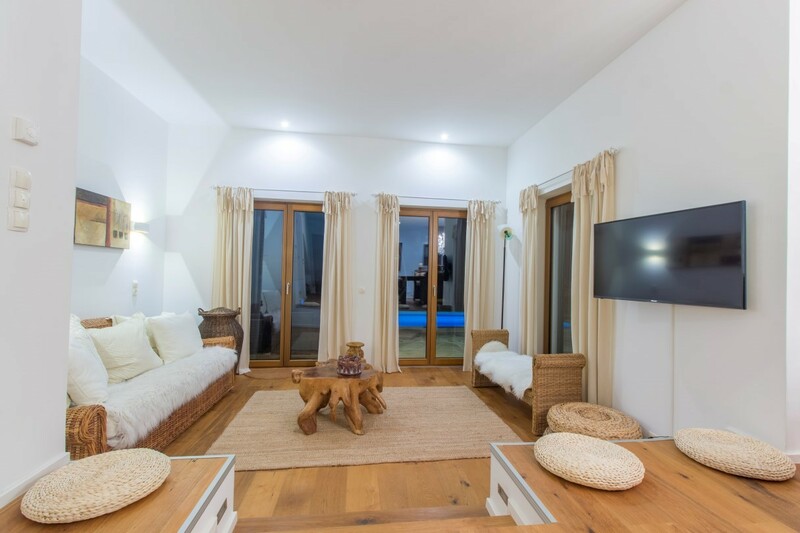 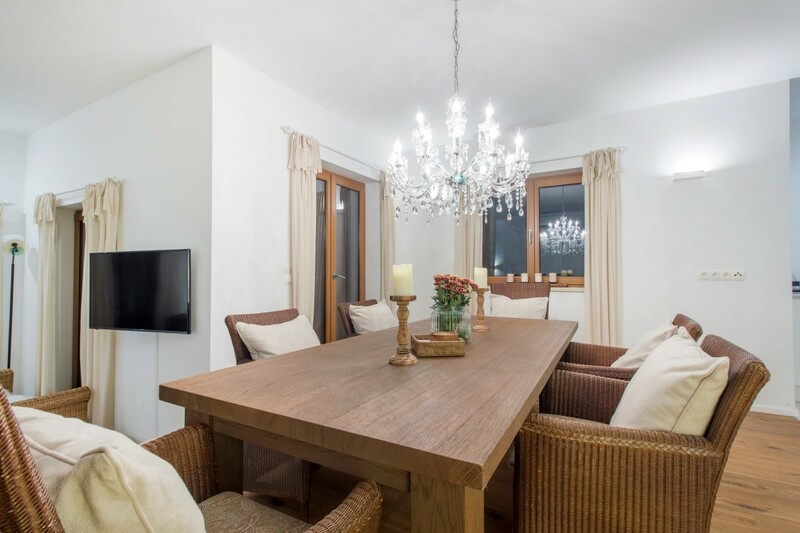 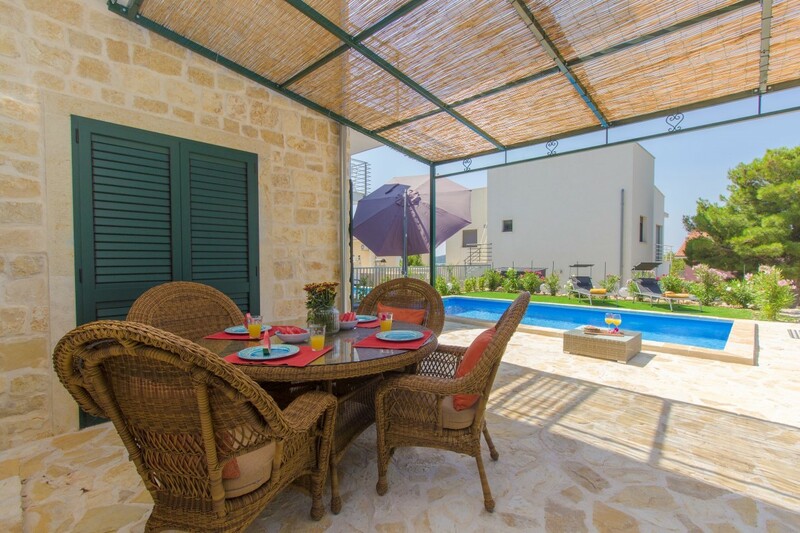 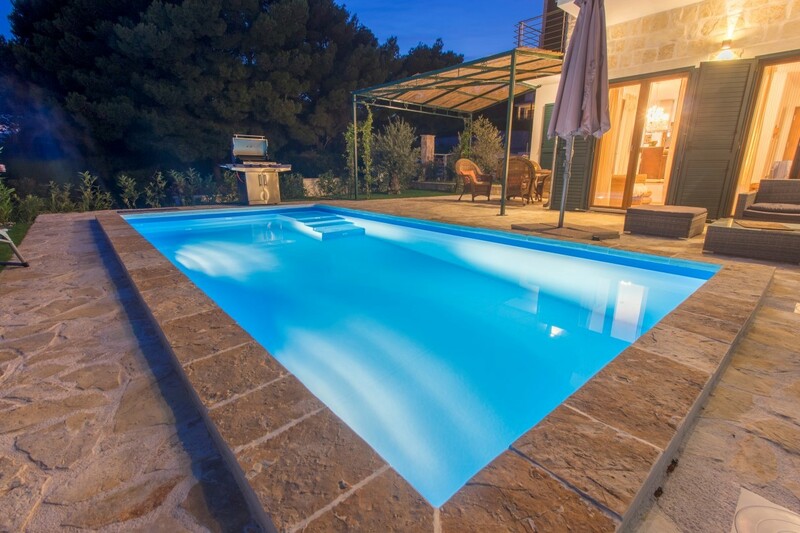 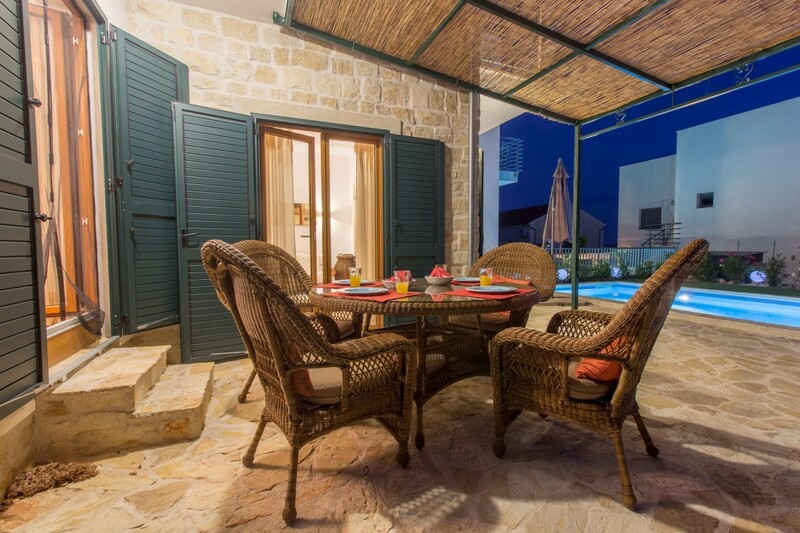 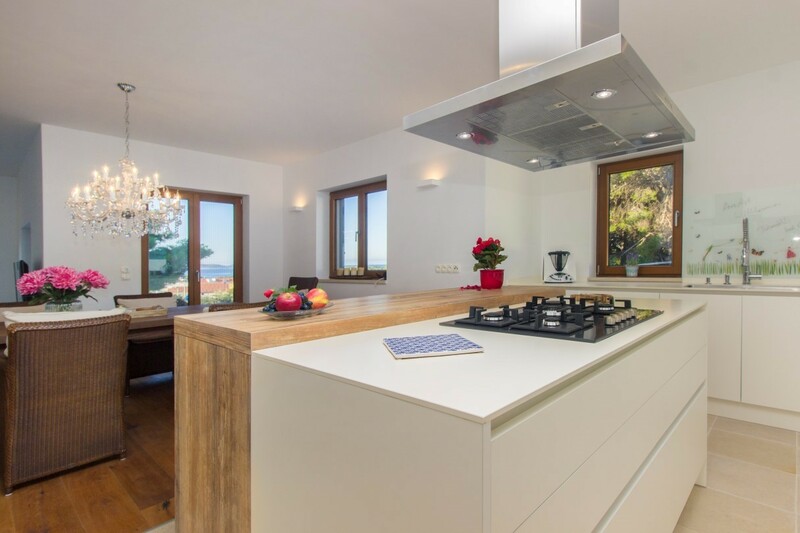 Villa Kornati is air conditioned, has Wi-Fi access and a private parking. 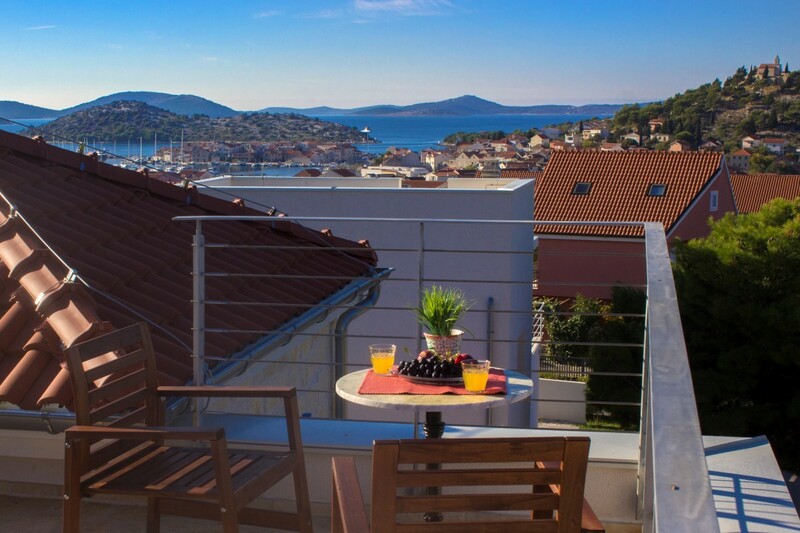 On the roof terrace guests can relax while enjoying the amazing view of the National park Kornati, nearby islands and the crystal Adriatic Sea. 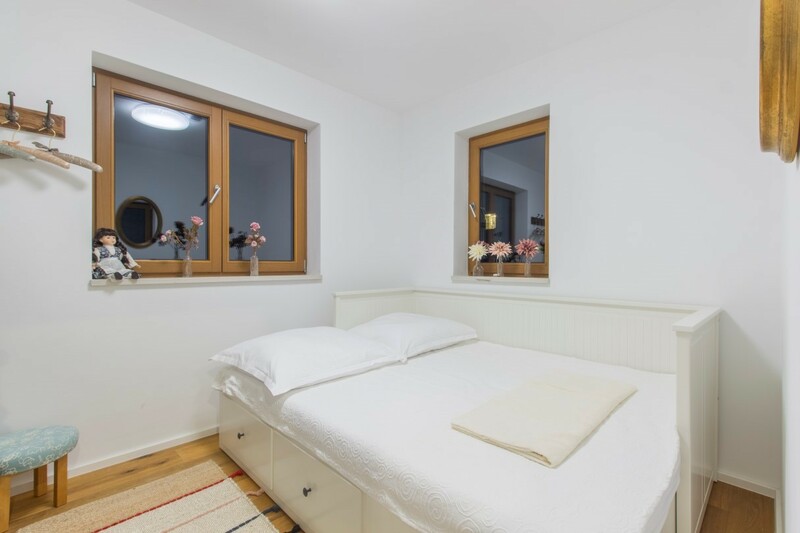 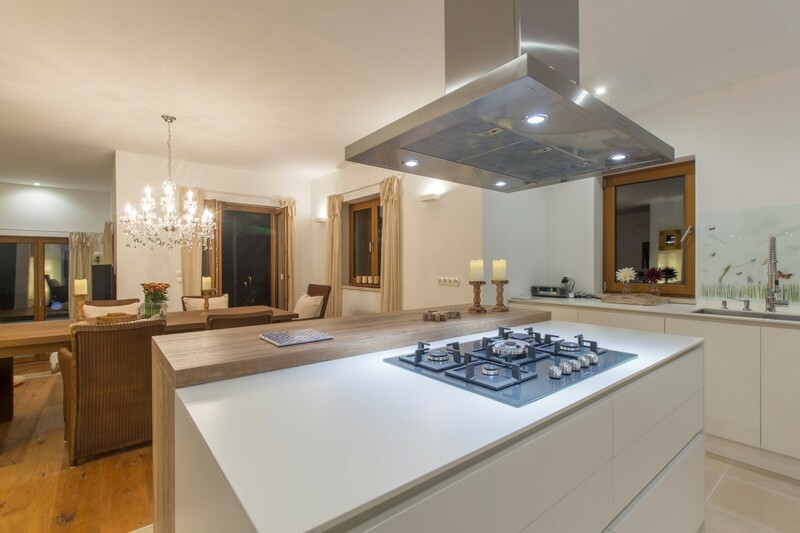 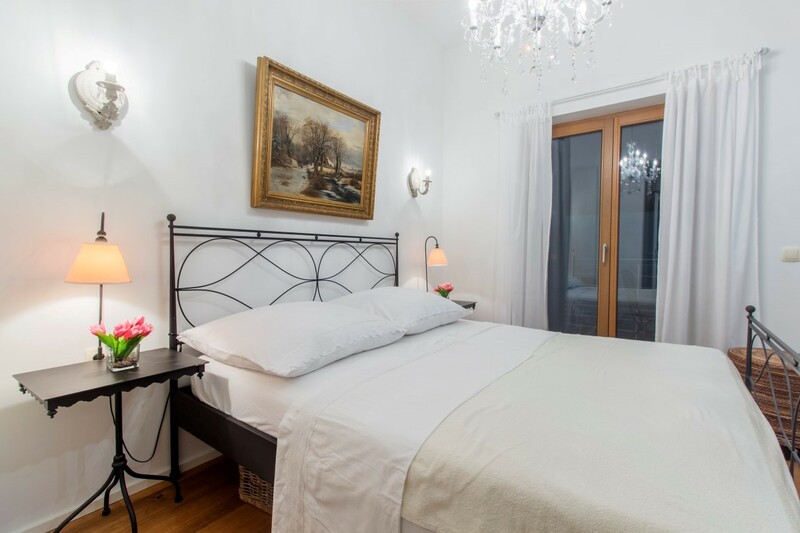 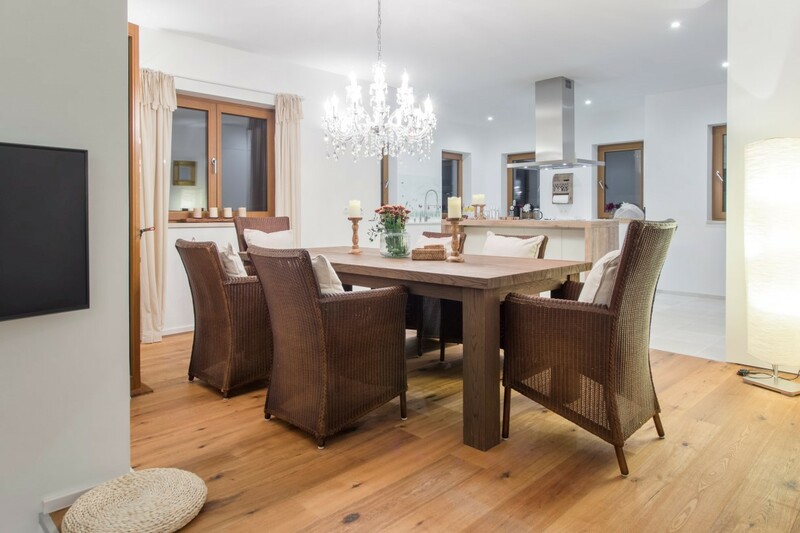 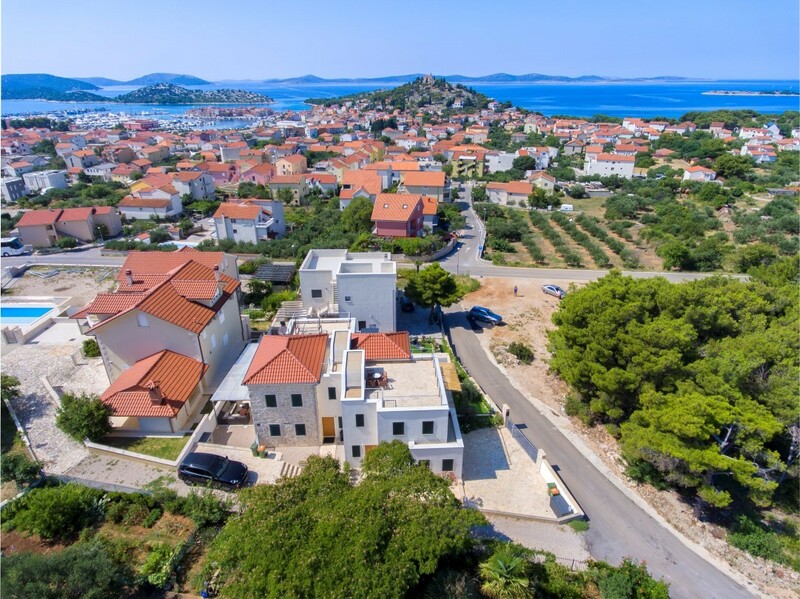 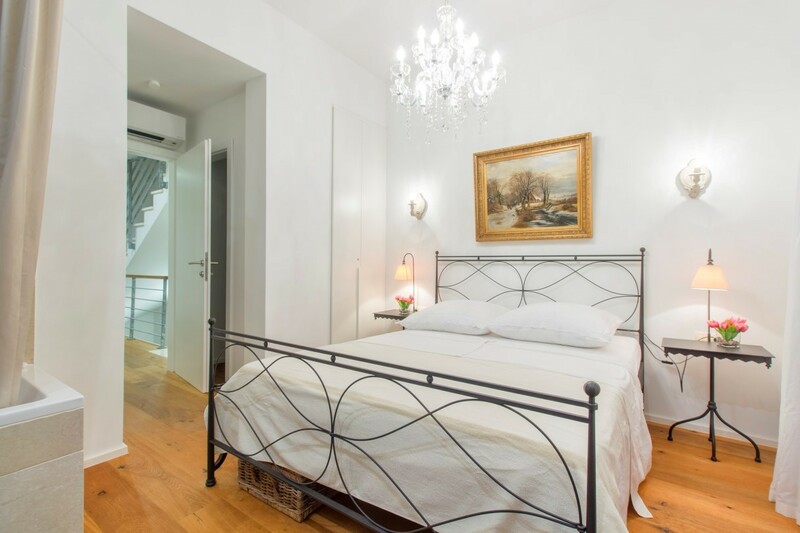 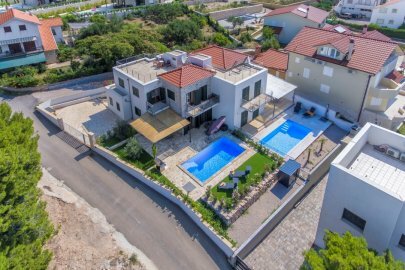 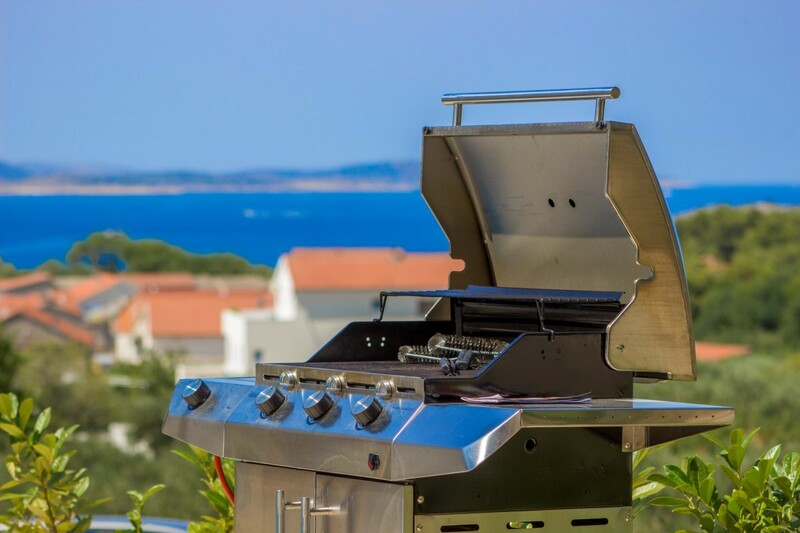 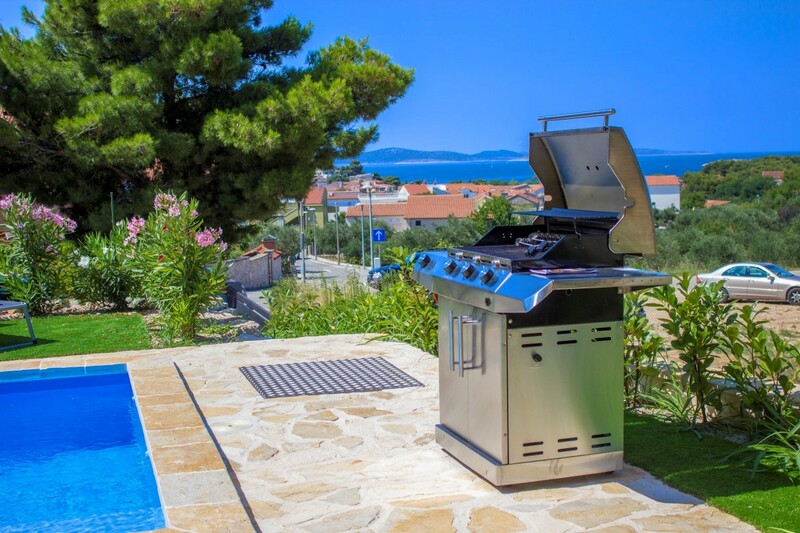 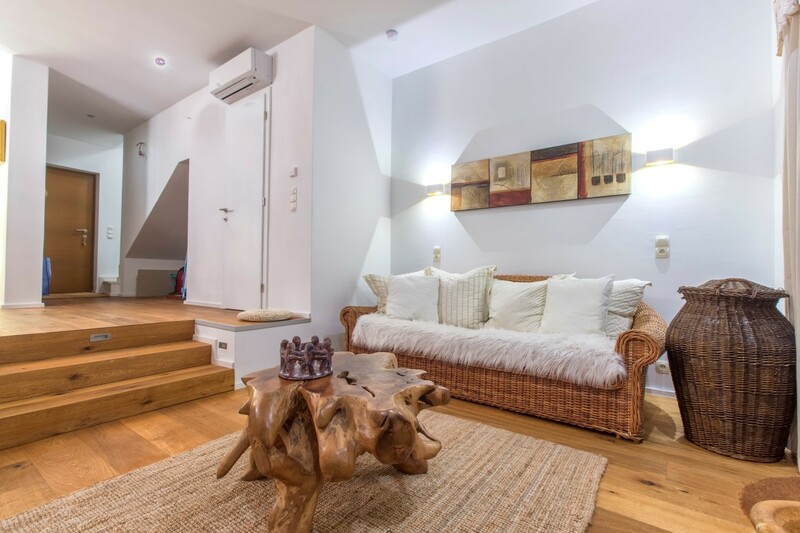 They can also explore local restaurants of Tribunj and Vodice as well as monuments and sights of Šibenik which are situated several kilometres from this modern villa. 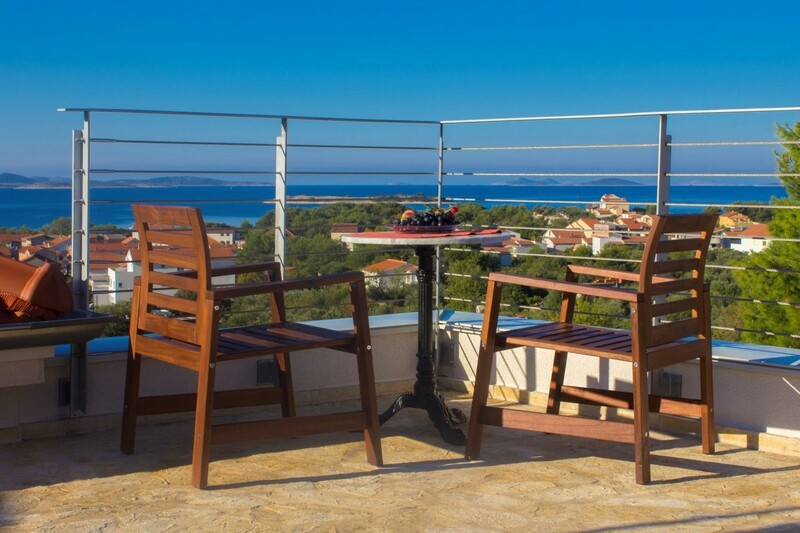 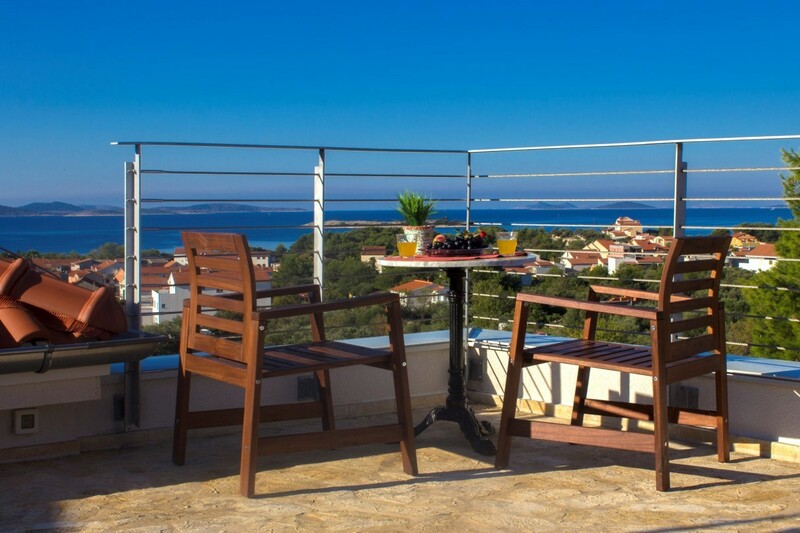 You can feel Dalmatia to the fullest and enjoy the stunning sunsets from the spectacular rooftop with a drink in your hand and the wind in your hair.